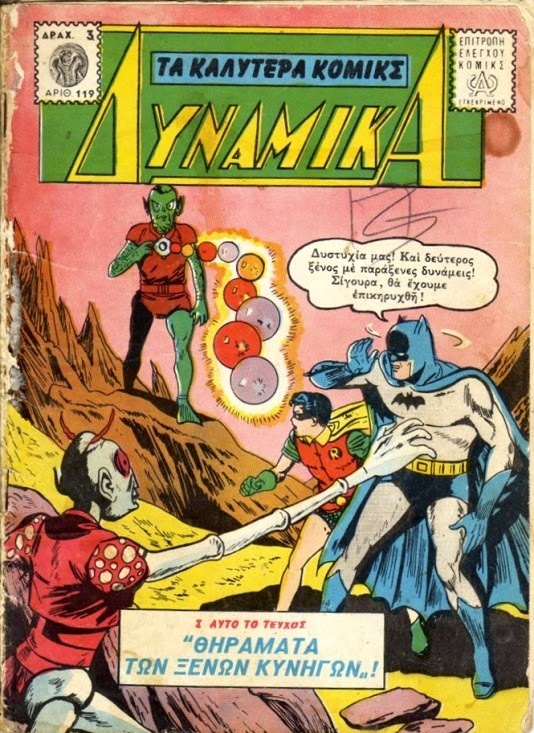 Anyone who has read the BAT-BLOG for the last few years knows my complete obsession with "foreign" Batman Comic Books. 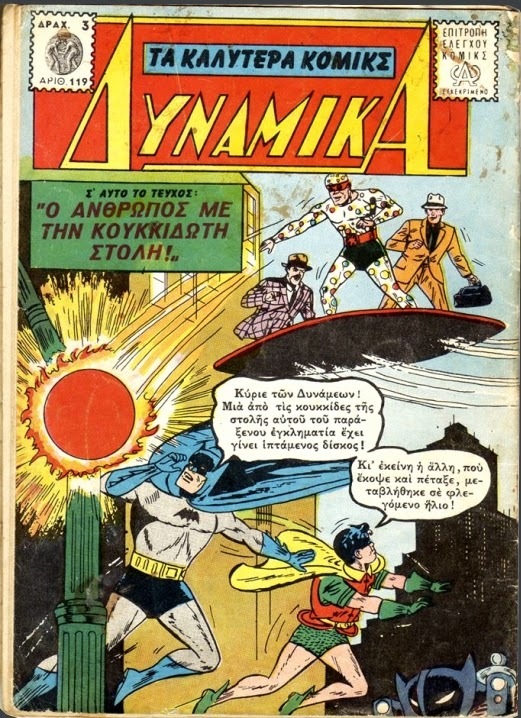 Check out these 2 images I came across on the Internet awhile back that show some reprinted comics from Greece. Yes, all the way from that country and in the Greek language, so amazing! The title is AYNAMIKA! Do YOU have any "Foreign Language" Bat-Books? If so, then please send us some pics. Thanks!